Beautiful day ladies and gentlemen! Here is our Part 2 of my How to Dye Brown Hair Blonde at Home post series. My friend bought a big tub of bleaching powder and a big bottle of 9% Volume Oxidizing Lotion. Awesome! Our ratio is 2:1 for the Bleach: Oxidizing Lotion. Wait for the mix to become very light blue and bubbly. For the hair to be processed it needs to be fully saturated with the bleach. I waited for 30 minutes. My friends keeps on asking if my scalp hurts? At first it doesn't but after a while I felt that the bleach stings already. Imagine my dismay when I washed off the bleach after 30 minutes and I found out that there are parts wherein the roots were missed. One thing to expect when going blonde at home is that there will be hair fall. My hair strands were literally on the floor. Quite scary, really. No wonder why bleaching is only recommended to be done every 3 months. We had to redo the roots part the next morning. We came up with uneven bleached hair. Like really, some parts are almost Jack Frost hair platinum blonde but some are just in between the level 6 or 7. Yikes, I cannot come to office looking like a disaster. I've let my hair dry before proceeding with the hair dyeing process. 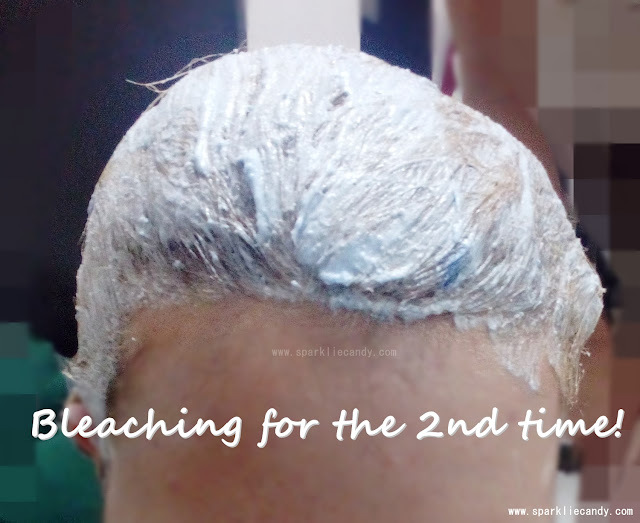 In case of confusion, there is a hair level system when bleaching. 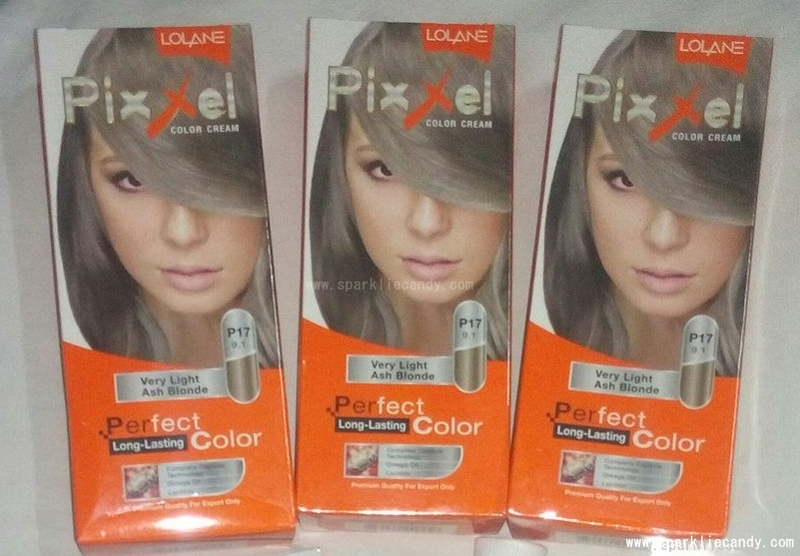 Let's say my goal is to only lighten my hair to the point that the hair dye will be true to its color when I use it. My hair level goal is Level 7-8. We proceeded with the process and used 9% volume oxidizing lotion instead of the 12% volume provided in Pixxel. I really don't want to fry my hair too much. I know its been through a lot and there was no waiting time prior to dyeing which is the usual recommendation. No matter how careful you are the end result will still depend on the healthy state of your hair before you bleached. It will still be damaged and all so it is mandatory to condition and moisturize hair like there is no tomorrow after the bleaching and coloring process. Okay so back to the coloring process. I waited for 30 minutes yet again and dried my hair. I was not so pleased with the color. From the mix of golden and very light blonde color it only darkened a little. However the color of my hair is still golden! I was expecting that at least it will be less of gold. The only good thing is that the color became more even. 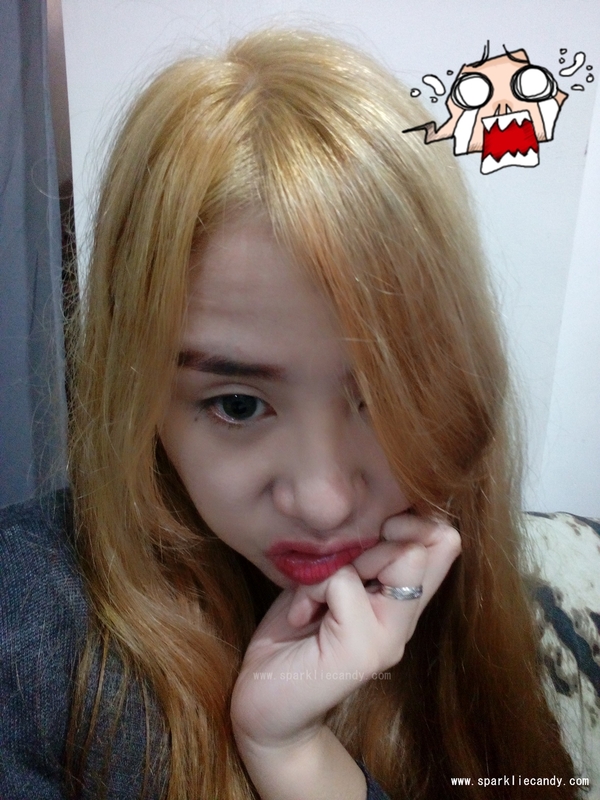 It served like a toner for the bleached hair but I was not satisfied with the outcome of the light blonde shade. I was really expecting something more ashy. Maybe grayish blonde ashy like Angel Locsin. 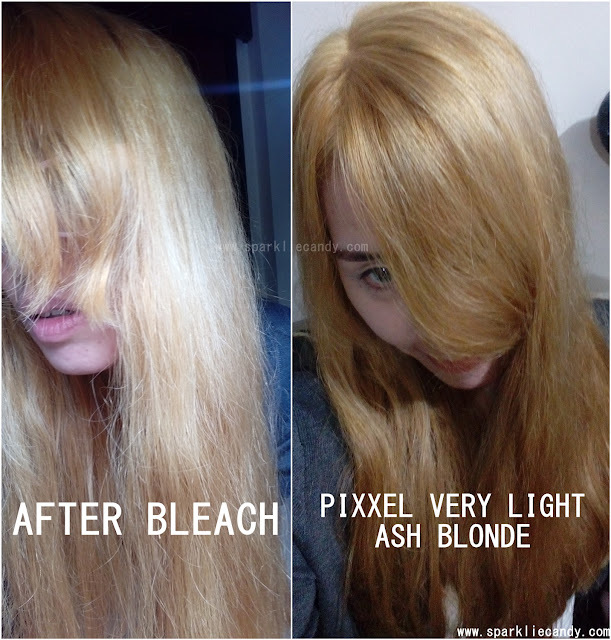 The long awaited going blonde at home before and after picture. 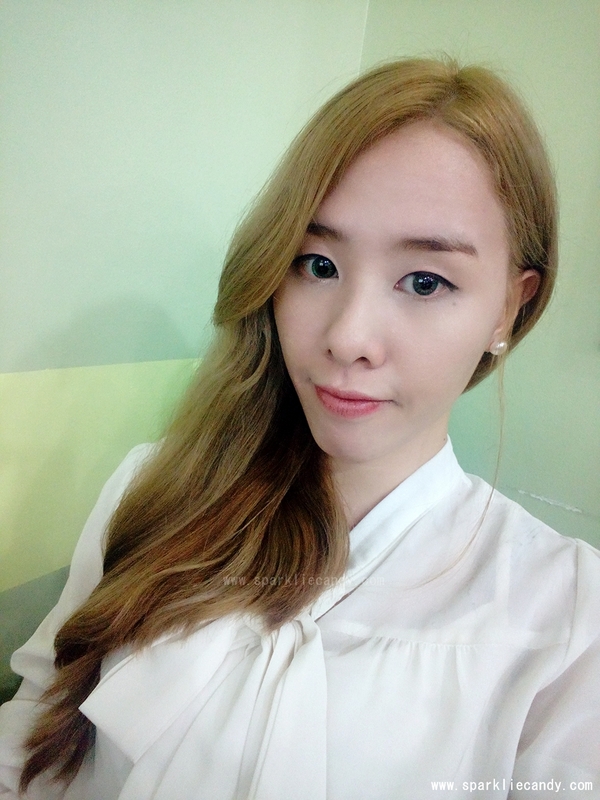 Mianhe (sorry), the left one is taken with outdoor light while the right side is taken indoors. Here is my friend who did my hair (blunders?!) haha. Look how red his hair is, he often bleach and dye it with different colors. Once he had a Jack Frost dyed hair and it looks amazing. YES! This is my dream shade, the indoor light don't do justice to the color. 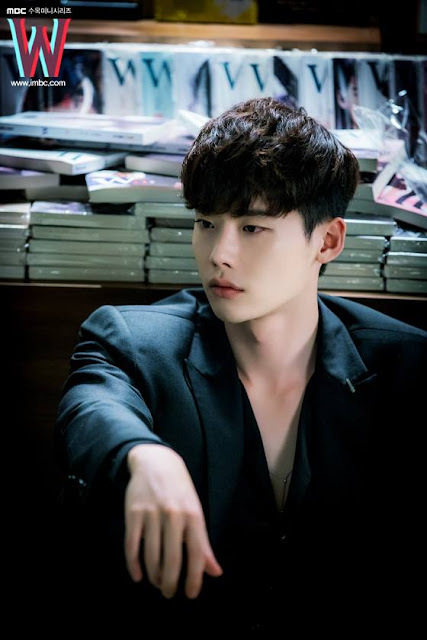 Lemme share the newest kdrama I am watching right now, Lee Jong Suk is such a cutie.